New Delhi: Oppo K1 is set to be launched in India on February 6. The price of the smartphone is yet to be revealed officially. However, it is likely to come with a price tag of Rs. 16,900 for the 4GB RAM and Rs. 19,000 for 6GB RAM model. The smartphone will reportedly come in two colour gradient options, namely Mocha Red and Van Gogh Blue. It is likely to go on sale in the country through Flipkart shortly after its launch. In terms of specifications, the dual-SIM (Nano) Oppo K1 runs Android 8.1 Oreo on top of ColorOS 5.2. There is a 6.4-inch (1080×2340 pixels) full-HD+ display with 19.5:9 aspect ratio and 91 percent screen-to-body ratio. The device is powered by an octa-core Qualcomm Snapdragon 660 processor, coupled with 4GB RAM and 6GB RAM options. 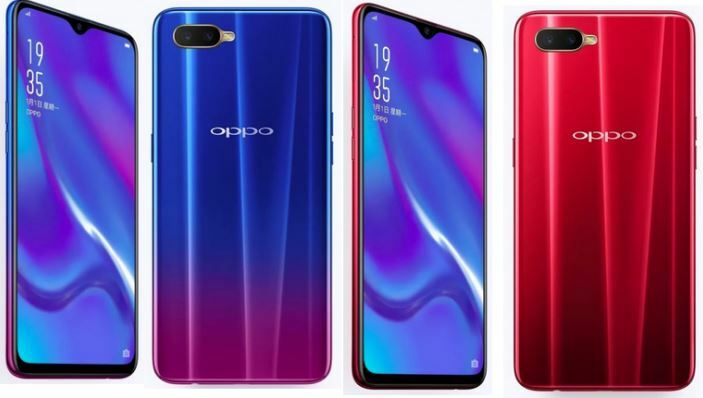 In terms of optics, the Oppo K1 sports a dual camera set up at the back with a 16-megapixel primary sensor and a 2-megapixel secondary sensor as well as an LED flash. For selfies and video chat, there is a 25-megapixel camera sensor at the front. The USP of the Oppo K1 is its in-display fingerprint sensor. There is also a 3D glass back. Besides, the smartphone packs a 3,600mAh battery. Oppo K1 comes with 64GB of inbuilt storage that is expandable up to 256GB via microSD card. Connectivity options include 4G VoLTE, Wi-Fi i 802.11 a/b/g/n/ac, Bluetooth 5.0, GPS/ A-GPS, and GLONASS.